well thanks for explaining these pros and cons. Bom dia! Wow, what a fantastic article. Some analysis I would add is that Brazil is a leader throughout the world in government adoption of open source software. By presidential decree, all government agencies and state-owned firms must migrate to open source software. This set a precedent in the region and since then, a number of Latin American countries have passed similar laws: Ecuador, Venezuela, Paraguay, Bolivia. As a result, there are thousands of developers in these countries who have worked on government- and enterprise-level projects using Linux, FreeBSD, Apache, MySQL, Drupal, etc. It was out of this phenomenon that my company, North by South, was founded in San Francisco, California and São Paulo, Brazil — as a way to both support the amazing free software movement in Latin America and provide high-quality, lower-cost development for companies in the United States. We distinguish ourselves from other off-shoring companies in that all of our developers come from this open source movement and have substantial experience building large projects with free software. So, they are passionate and meticulous about code development and we have a strong states-side management team based in San Francisco that companies can work with. I enjoyed reading your view on your recent experience with Brazil and agree with most of what you wrote. However, as dual citizen, Brazilian and American, or as I like to say, a dual cultural, having lived at different times, half of my live in each country, and becasue of that, can immerse easily in both cultures, and working since 1986 in the IT sector, there is what I call the “cultural DNA” advantage when it comes to offshoring IT services. Besides your comments, which I think are appropriate, there is another perspective, which is the fact that, because the Brazilian culture, literally, is the most mixed race on the planet, anyone can be a Brazilian (and this can be verified in the passport blackmarket, where the Brazilian passport is the most expensive one on the shelf), there are no cultural barriers, there are no cultural traditions or quibbles that prevents the Brazilian from committing or that get in the way when you need to negotiate. Brazilian cultural DNA transferred into work ethics basically translates to the fact that, most Brazilians are not tied to a 9 to 5 job, nor to a job description. They are committed to getting the job done, whatever it takes. Well, I am a permanent advocate for Brazil IT, so part of my mandate is to actually showcase what are these competitive advantages. And after all, we will always end up with the people (the rest is binary). And in this playing field, I am sure that Brazil is a hard act to follow. Great post Nick! 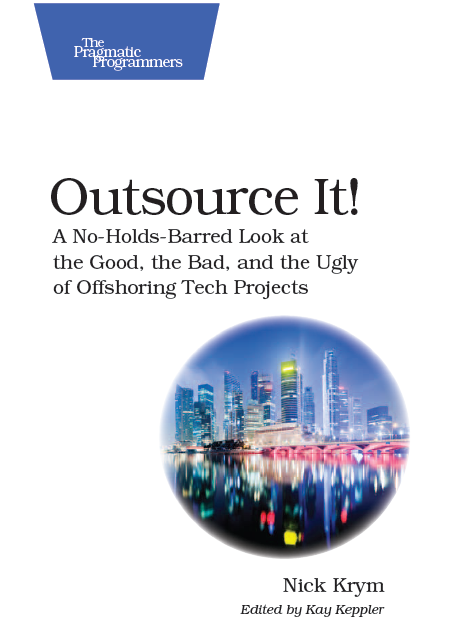 Brazil is very competitive as offshore outsourcing destination but the information about the topic is scarce.